Why LSC Construction Services, Inc.? If you live in Shakopee, MN or within forty miles of the area and you need a paving solution, you can reach out the team at LSC Construction Services. We’ve been in the asphalt industry for over thirty years and our professionals are dedicated to the customer’s experience. Our paving contractors are upfront about cost and timeframes, and we strategize each step to ensure you get the lasting pavement for your home or commercial property. We make it easy to add value to your property with our premium services. And here are just a few of the qualities that you can count on when involving our experts. Our team is experienced and we pride ourselves in building lasting relationships with our customers. We provide a safe work environment and all of our materials meet or exceed the Minnesota DOT specifications. We know there are a lot of paving companies out there, and that’s why we go above and beyond to show that we’re the top choice. Due to our experience, we have a proven system that saves you time and money because each aspect is taken into account from the estimate to drainage to repairs and maintenance. 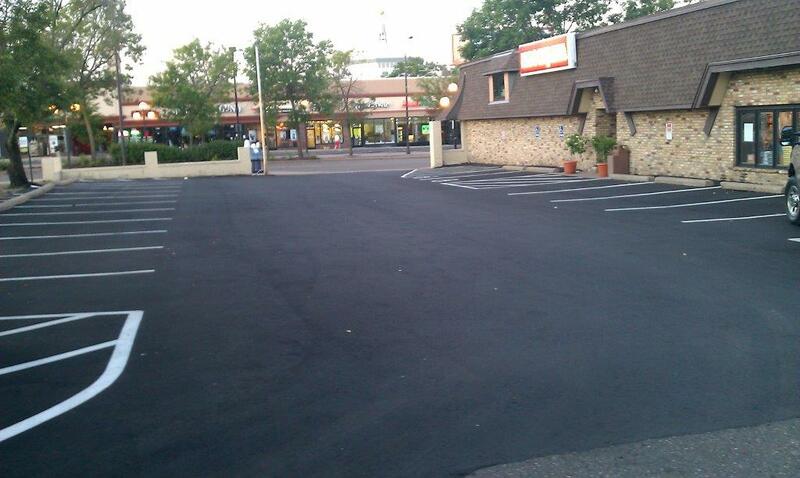 While our asphalt contractors provide exceptional services in paving, concrete, and landscaping construction. While our asphalt contractors provide exceptional services in paving, concrete, sweeping and striping, we also do snow plowing in the winter. You can rely on us to show up on time and get projects of all sizes complete. Both residential and commercial properties have seen the outstanding results from our services such as green asphalt solutions, patching, pothole repairs, and more. We make the process simple for you and will provide all of the asphalt solutions you need to keep the pavement well maintained. Not all asphalt companies are the same, and if you want to ensure you get exceptional services from dedicated contractors, reach out to us today. We go above and beyond for residential and commercial property owners. We don’t skip steps and our contractors are always looking forward to providing the community with lasting paving services. Don’t hesitate to learn more and to reach out today.